You may have seen them in stores, on Insta and on beauty blogs but what exactly is coffee scrub, what does it do, and what are the benefits? Well, it's a 100% natural scrub for your face and body that claims to help clear impurities such as spots and acne, as well as other skin issues such as cellulite, stretch marks, psoriasis, eczema and small veins. All while making your skin 'softer' and more hydrated. This particular coffee scrub is made up of coffee (obvs), virgin coconut oil, almond oil, brown sugar, vitamin E and other 'miracle ingredients'. 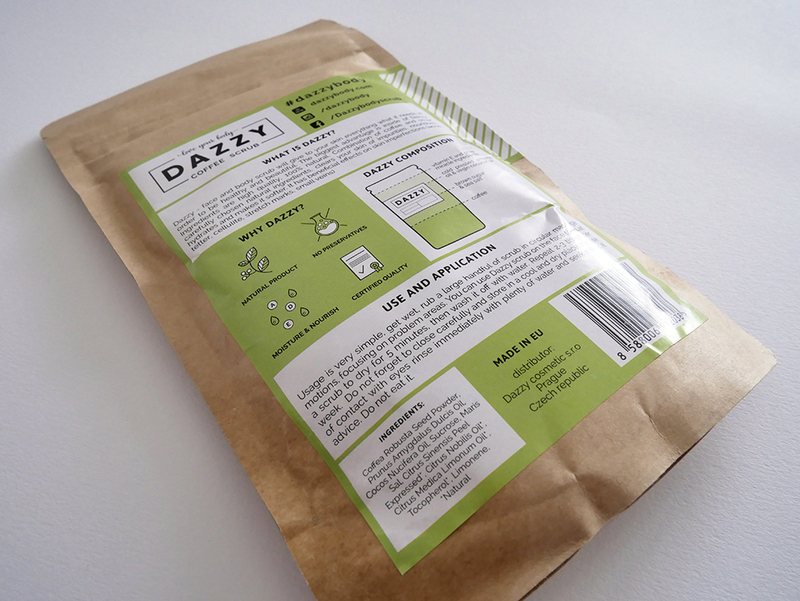 So, does it do what it says on the, er, packet – or is it all hype? Well, as far as I can tell, it does what it claims. I don't have cellulite (that I'm aware of, probs do), stretch marks or small veins, so I can't profess to know whether or not it helps with those problems, but I do have VERY sensitive skin and I'm prone to breakouts and clogged pores. I'm very picky about what I use on my skin, but this scrub is 100% natural, so I decided to give it a shot. It's not too harsh at all. In fact, despite leaving it on for a little longer than I should've the first time, (I was getting the above snap etc), it didn't sting or redden my skin like a lot of masks and scrubs do. It smelt delicious (very strongly of coffee, which was left me wanting a cup even though I'm a herbal tea only person!) and left my skin feeling beautifully hydrated, soft and glowing. You can really feel the oils getting to work hydrating your skin (hydration is vital whether you have dry or oily, spot-tone skin because it will both solve dryness and reduce irritation which leads to breakouts! ), meanwhile the coffee and brown sugar work to remove dead skin and impurities, bringing a fresh, clean glow to your skin. 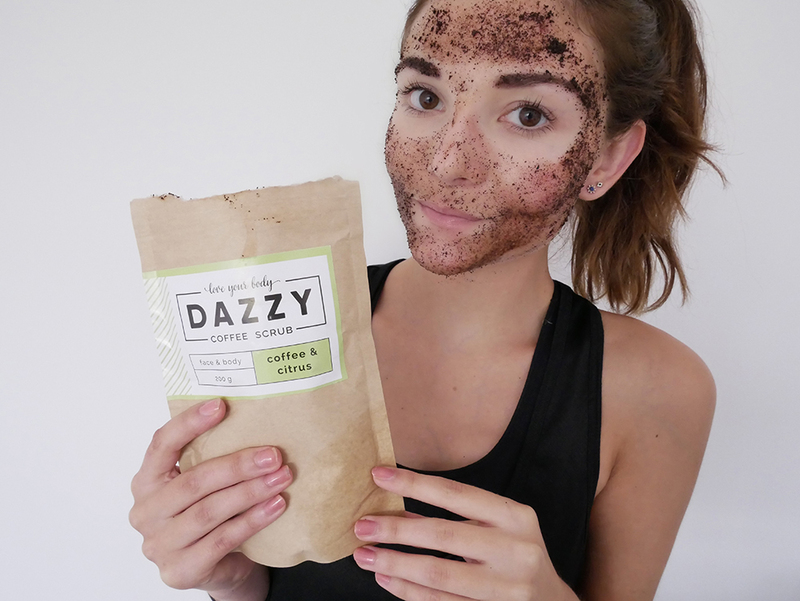 Would I recommend the Dazzy Coffee Scrub? 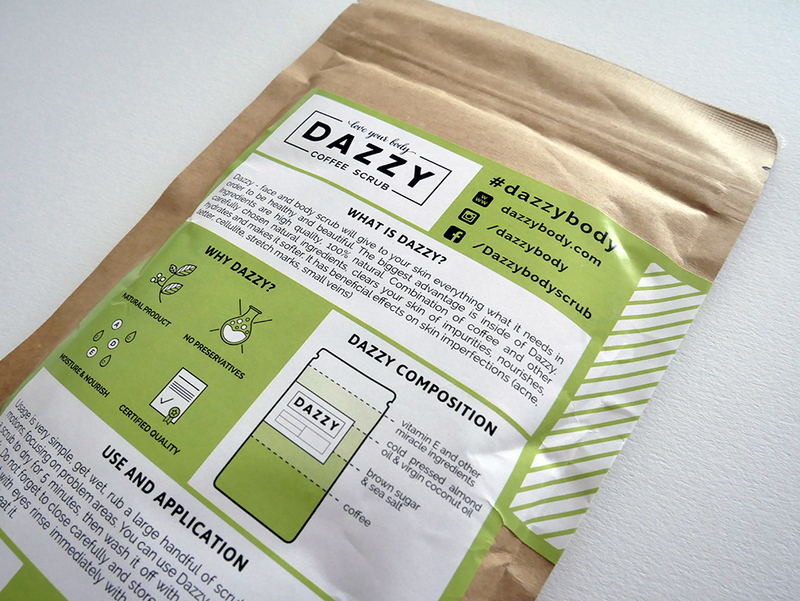 I would definitely recommend the Dazzy scrub to anyone who wants to try something new to give their skin a healthy glow, soft texture and fresh appearance. 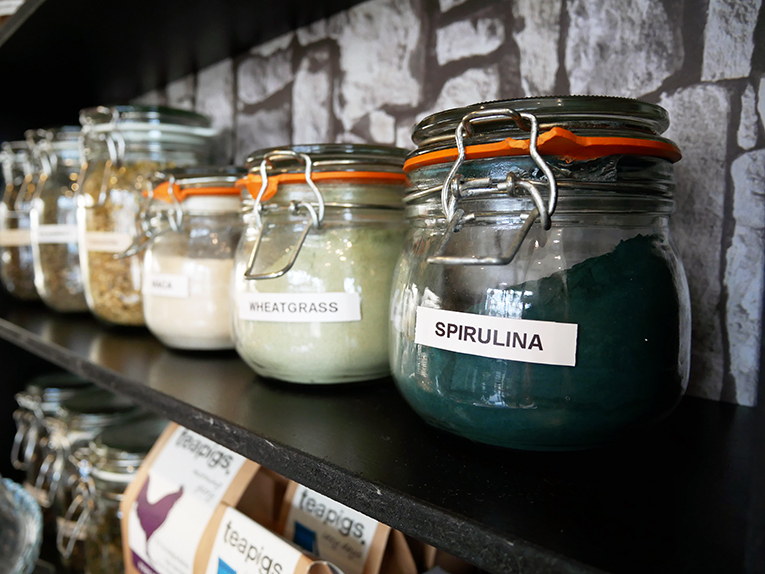 It's ideal for a pampering evening in, and I'd definitely recommend using it in the bath because one thing to note about this scrub is that it can get messy! Just make sure no one's gonna walk in on you when you're covered head to toe in coffee because it freaks them out, trust me. I tried the Coffee & Citrus scrub, but they do a variety, check them out via their website here and head here to purchase. 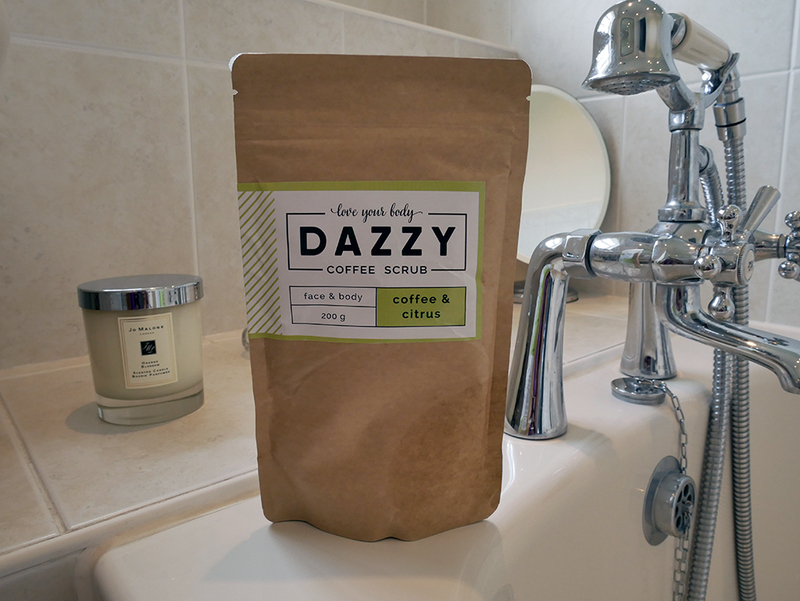 * I happily received this scrub free of charge from Dazzy as I have been excited to try a coffee scrub for a while, but this was not a paid for post and is 100% my honest opinion! The rest of the items are out of stock or unavailable in the UK but similar can be found in the Get the Look widget below! I am LOVING the colour yellow at the moment. It's very on trend for this year and I just think it's so eye-catching. Admittedly, it's taken me basically eight months of the year to warm to it having never previously worn any yellow at all but hey, it's a grower. I think, in fact, that I got put off the colour after my childhood bedrooms from age 0 to 10 were bright yellow, despite the colour, which was I assume chosen originally as a gender-neutral option pre-birth, was definitely not necessary for that whole time as I clearly am female. I hope. 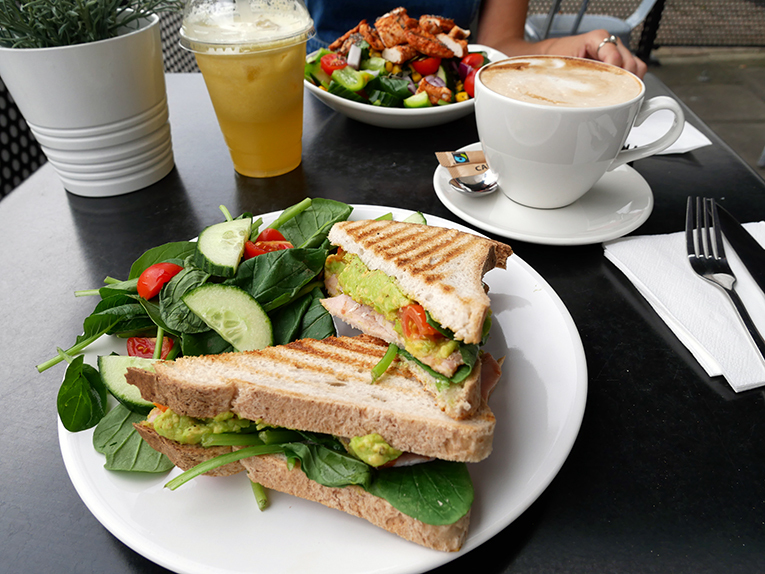 A couple of weeks ago I visited Clean & Press in Jesmond, Newcastle for a clean and healthy lunch. 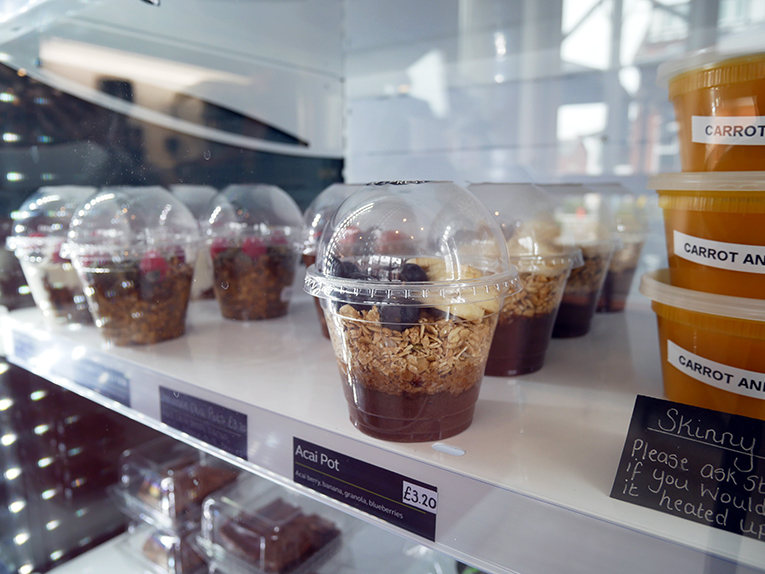 Healthy eateries and juiceries are popping up here there and everywhere across the North East these days. I've tried Nosh in Middlesbrough, Neanderthal's in Norton and Ugöt in Newcastle's Central Station, which has now been taken over by the AMAZING Filmore & Union. I also believe I have a good knowledge of clean eating and nutrition, so how would Clean & Press fare? As Clean & Press has a strong focus on juicing (they offer cold pressed and freshly made juices along with smoothies), my first, and potentially most difficult decision was to choose a beverage. I had been before for a cup of tea (soz lol) which was divine, but this time I wanted to try their famous juices for review and health purposes (FYI it was the 'Sleeping Beauty' blend which is a China Sencha (green) tea, ft raspberry and blackberry flavour with rose buds and heather pieces, so good). If you witnessed me trying to make a food or drink decision, you would probably find it reminiscent of when contestants on Who Wants to be a Millionaire? had to decide whether or not to gamble or use a lifeline. Or for a more relevant example, when the Love Island contestants had to decide who to dump from the villa. 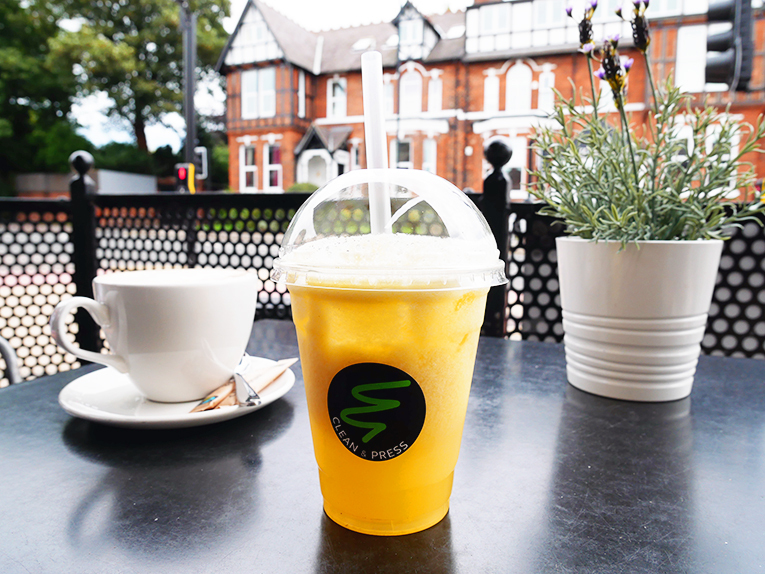 Despite this, I only changed my mind once and after picking up a cold pressed juice from the fridge, I decided to go for one of their freshly made options – the pineapple, lemon, ginger and celery juice, which was created to help with digestive issues such as bloating and IBS, which I occasionally suffer from. As you can see from the photo, you get a decent amount with Clean & Press's juices, but what you can't see is how delicious it was – not too thick or thin but so sweet. I took my mother along, she opted for her standard cappuccino and it passed her very strict tests (even Starbucks has failed). 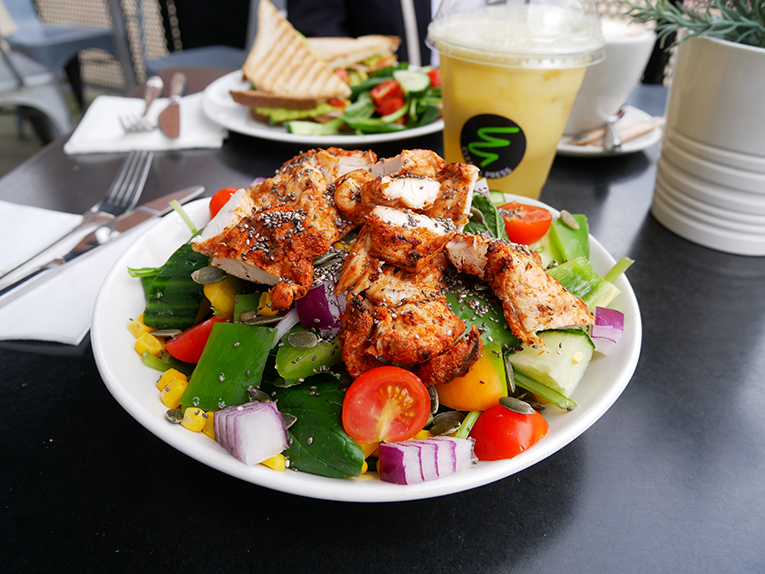 The next choice was which lunch option to go for – as I'm always in a healthy mood (until dessert) and love a salad, I opted (after much deliberation despite having checked the menu out in advance) for the marinated chicken salad without a dressing. 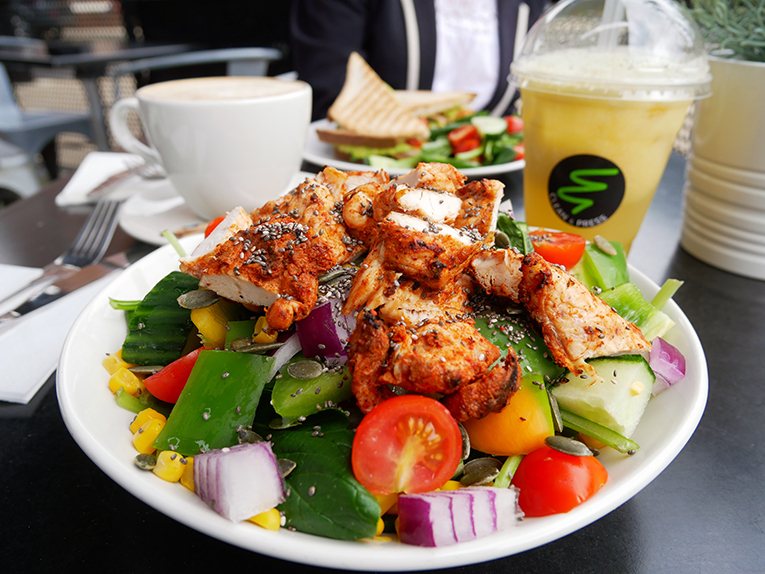 I was very, very haps with the amount of chicken that came with the salad – and fresh, lovely chicken too! They definitely weren't stingy with the portion size. I was also happy to see that it came with chia seeds and pumpkin seeds (totes guessing at these seed varieties but I think that's what they were!). The salad itself was made up of red onion, sweetcorn, peppers, cucumber, tomatoes and (I think the leaves were) spinach. My mum, on the other hand, stuck to her not-so-health-focussed ways and went for a BLT. I don't usually like BLT's because they're far too salty/greasy but this one had a good chunk of avocado in and bacon that was thick and tasty rather than crispy and salty, so while the avocado sitch confused my mum a bit, I was well impressed. The healthiest BLT around. Of course, while rifling through the fridge trying to decide on a juice, I couldn't help but see this dessert. Resistance was futile. The 'raw vegan Snickers bar' being dairy free and, well raw basically, was great for me because I try to avoid dairy and processed foods as much as possible to limit breakouts and help my skin look decent. Filled with nuts, it had an amazing gooey texture under the hard chocolate topping. 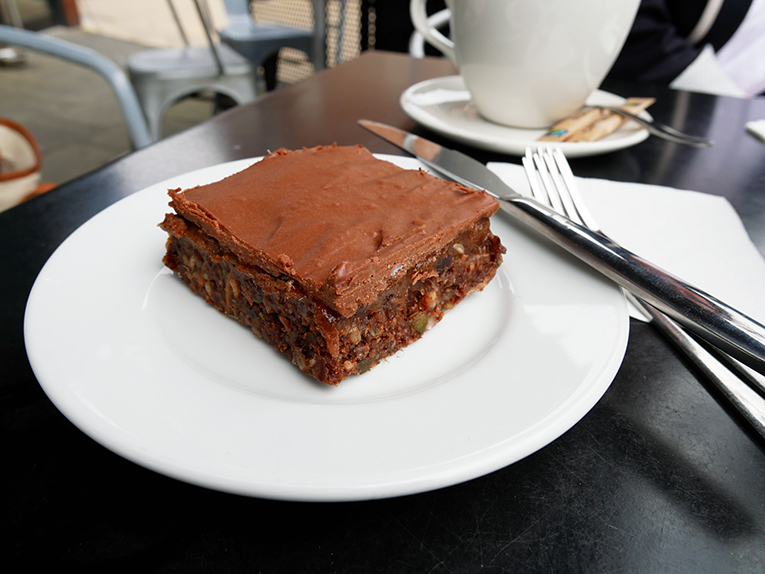 I would love the recipe for this, it tasted like (and guessing from something similar I've made before) it was made up of dates, possibly bananas and cacao, but one can't be sure. Also the chocolate was SO SIMILAR to genuine dairy-filled chocolate. I ate the whole thing but highly recommend sharing or taking half away because it's a lot heavier than it looks! 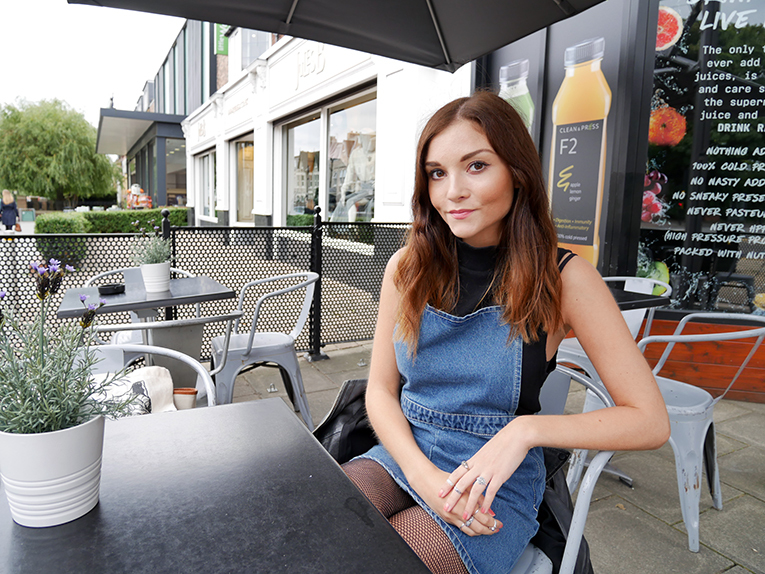 Clean & Press is located in Jesmond and has a lovely little outdoor seating area. I'd highly recommend visiting for a healthy breakfast, lunch, snack or even just a juice to give you a bit of a boost or for a detox. Head to the Clean & Press website for more info. * Clean & Press did not pay me for this post, they simply offered a complimentary lunch and drink :) thanks guys! 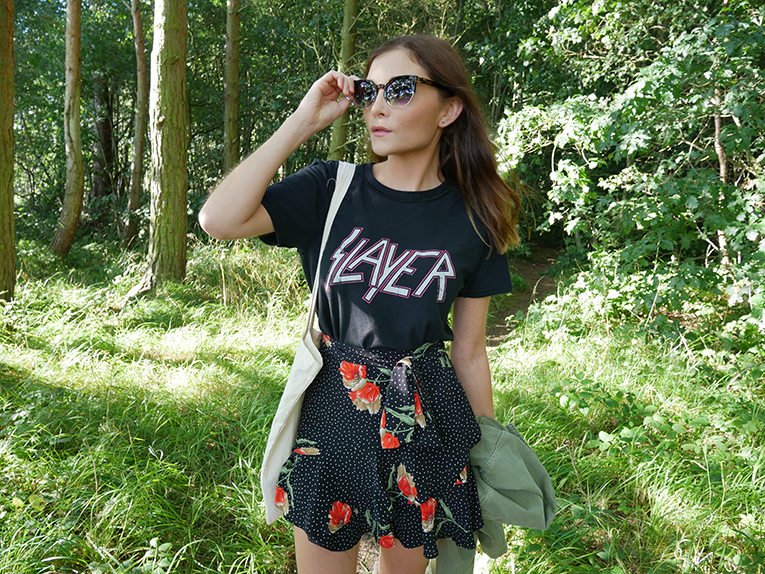 As mentioned in the first post of this festival fashion series, I'm heading to Reading Festival this month, and having a rethink about my usual festival ensembles. I'm sick of the standard denim shorts look, but of course can't go full on Coachella in a maxi dress and glitter because we are in England and the weather is not as predictable as it is in the Californian desert sadly. After the first festival fashion post featuring a dress, I decided to style a denim skirt for this one. Admittedly this is basically a very, very subtle twist on the whole denim shorts thing. However, I love the Penny Lane, 70s vibes so it passes in my eyes. 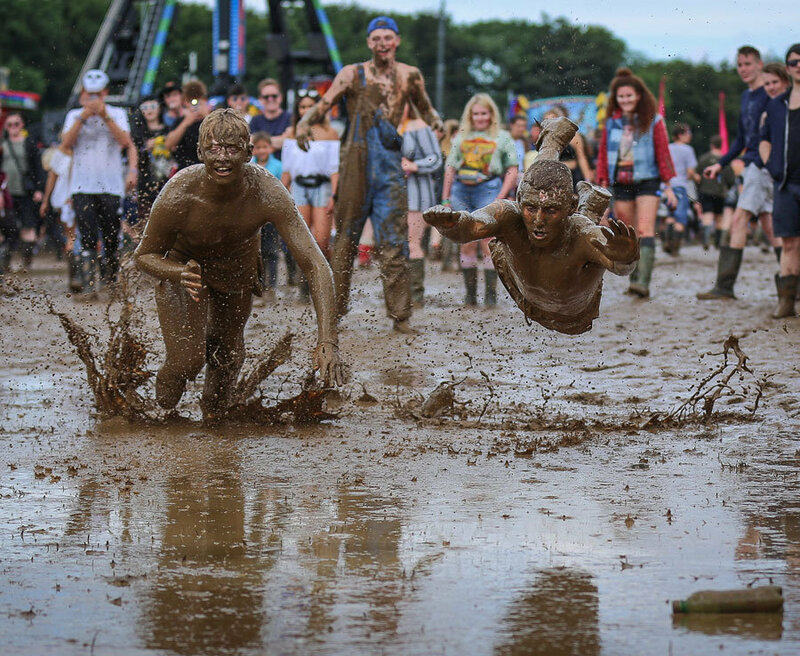 My previous look included trainers, but of course, they aren't always weather appropriate at UK festivals. Wellies are ALWAYS a necessity and these Hunter's have served me well over the last 7 years (omg how old am I). I got mine from TK Maxx at quite a hefty discount so I'd highly recommend heading there! I'd also recommend going for a generic colour like black or navy blue because they go with everything. My friend has red and yes they are beautiful but if you want to wear something pink you're screwed. 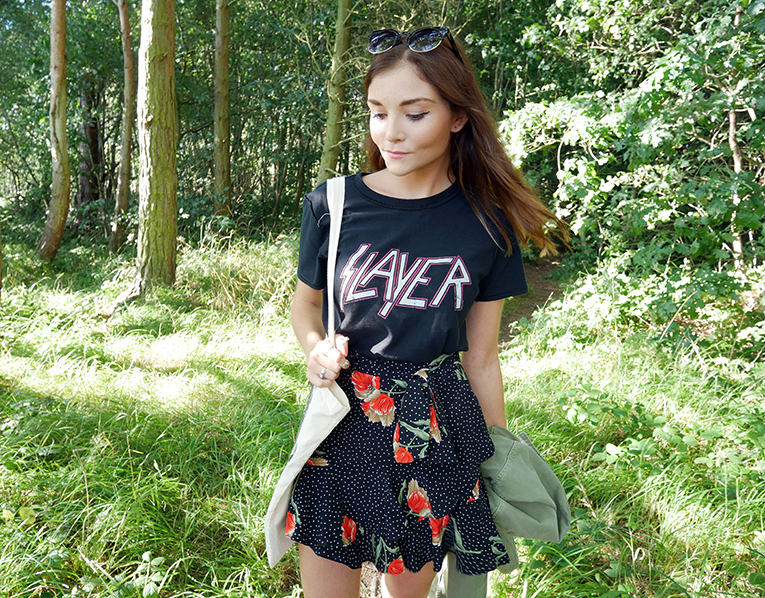 This month I'll be heading to Reading Festival – yep, we're switching it up from the usual Leeds (see some of my vintage posts on festival fashion/Leeds Festival here and here (lol)), because why not? I'm beginning to consider what to pack in my very un-festival-like suitcase (it has served me well through lots and lots of festivals – I will never cave to the holdall). 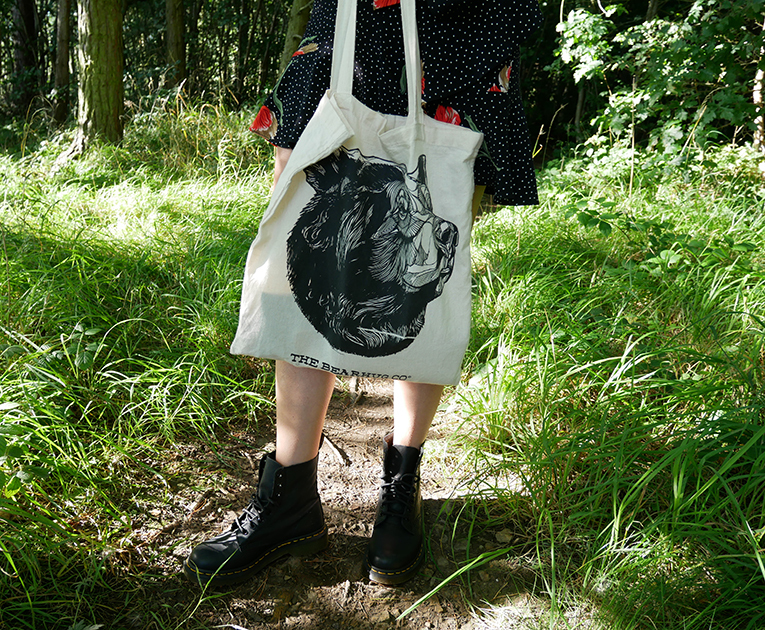 Obviously, I realise this is a bit late as it is reaching the end of the festival season but if you're heading to Reading Festival, Leeds Festival, V Festival, Leefest, Greenman, Creamfields or Boardmasters – hopefully this will be helpful and provide a little bit of packing inspo! Dressing for festivals is great because you can wear things you might not normally dare to wear (i.e. a ton of glitter all over your hair/face/body, a sparkly 90s-style crop top, wellies with hot pants etc) or have the chance to, and I love the casual, music-inspired style that naturally dominates at festivals. For years, however, the denim shorts and crop top look has been my go-to for festivals and frankly, I'm over it. This relinquishing of the one outfit I have relied on for such events has provided me with the task of coming up with, god forbid, alternative options – largely denim-free. It has not been easy, so I thought I would share my journey in the form of a festival fashion series. Keep scrolling for look number 1. 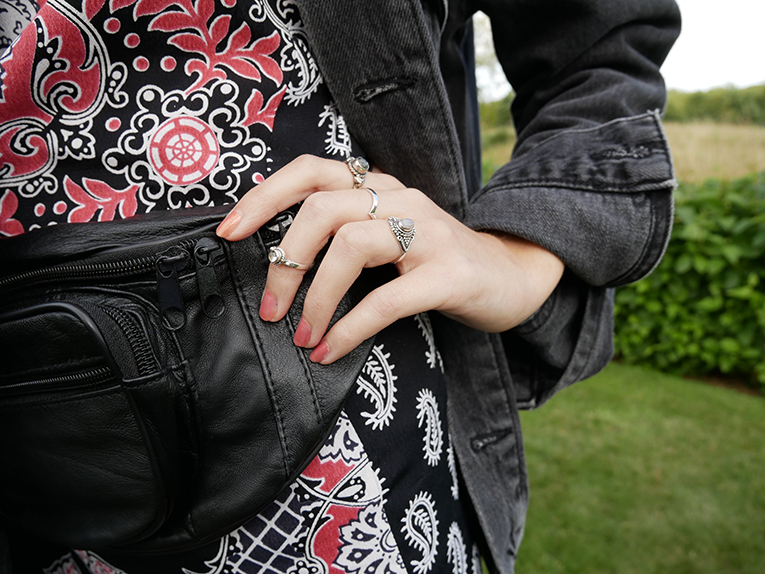 The Bumbag: yes, it's still cool. Or maybe it isn't, but it's certainly practical so DEFINITELY PACK IT. There's nothing worse than dealing with an unruly cross body bag when you're trying to dance in the middle of a crowd. The Rings: it's all in the detail people. I can't leave my rings behind for anyone or anything. These are a mix of Dixi and Rock 'n Rose and I bloody love them. Admittedly I said my new festival looks were largely denim-free, so forgive this jacket. 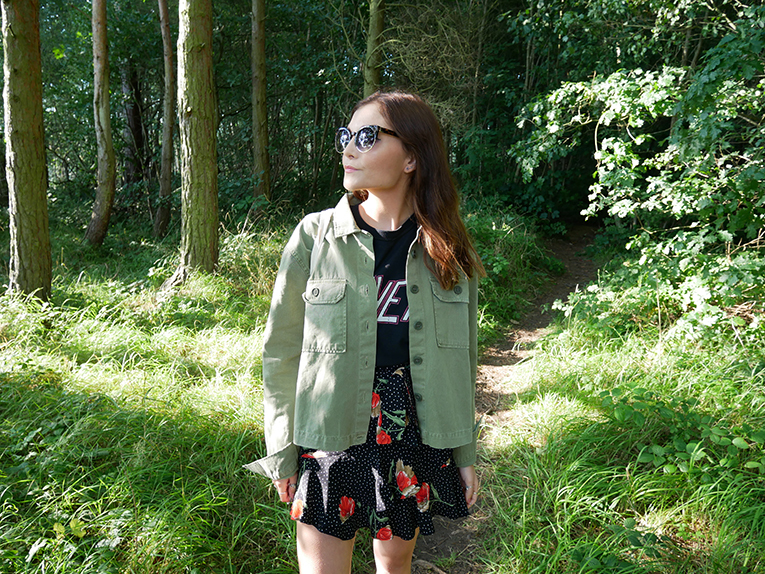 My beloved oversized denim jacket from Urban is my favourite thing for festivals, it just looks so great over dresses and skirts. I can't recall ever risking trainers at a festival yet, but I am going to take them in the hope that the weather is somewhat dry this year and I actually have the opportunity to wear them. I'm as sick of wellies as I am Levi cut offs. 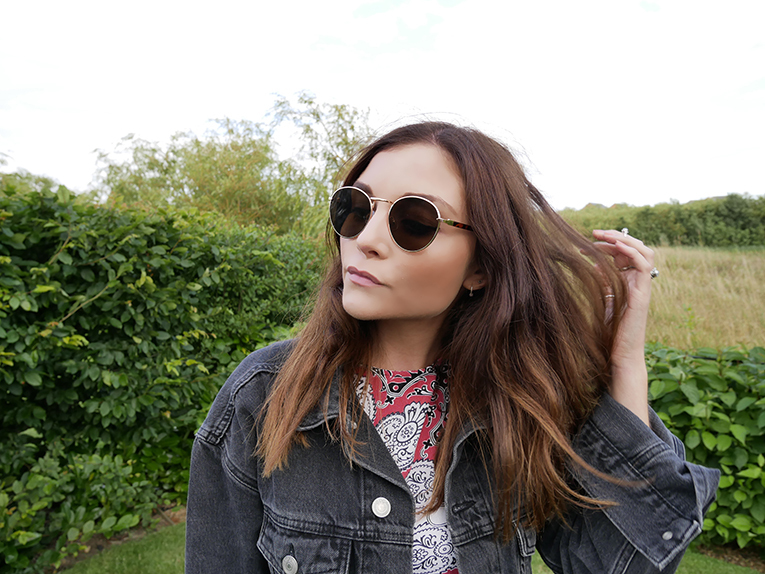 Of course, the prime accessory of a festival is the sunglasses. Take as many pairs as you like or can fit in your suitcase/holdall I love these cheapskate Ray Ban rip offs because they go with pretty much everything and look quite rock n roll. However some thicker frames are also useful for when you're feeling more Nicole Richie than John Lennon. 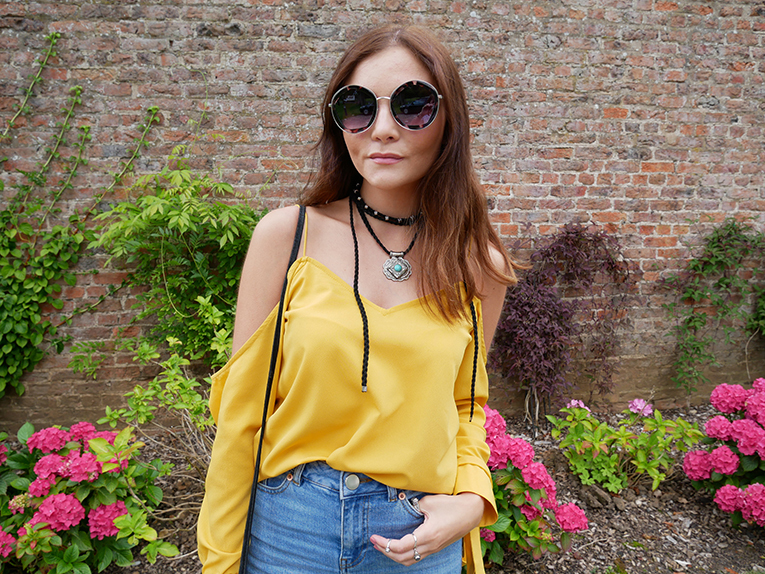 As mentioned in this post, I'm starting to do a little trend series in which I pick one of the seasons biggest catwalk trends and create a high street edit of my favourite pieces. 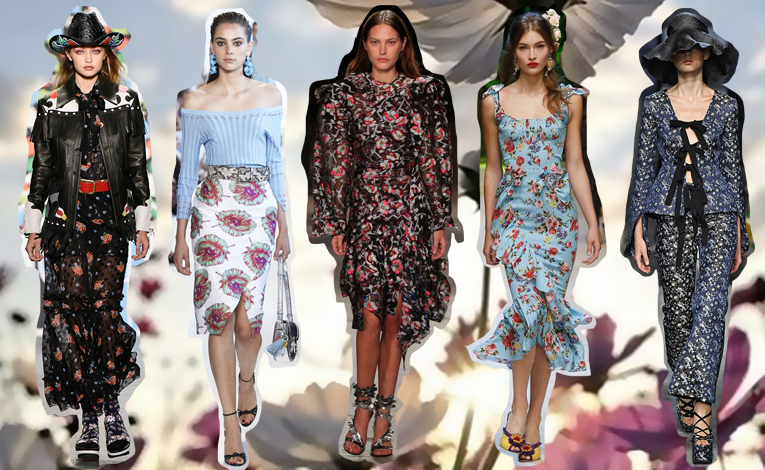 After starting with the 80s trend of SS17, I thought I'd go with the floral trend next because – not only am I a die-hard fan of the print in almost all of its forms and guises (I will wear floral tops, dresses, shoes, jackets for life... Check my picks of the high streets best of all of these below!) – but it is a trend that was all over the Spring/Summer AND Autumn/Winter 2017 catwalks. So anything floral rn is a great investment, tell this to your conscience. 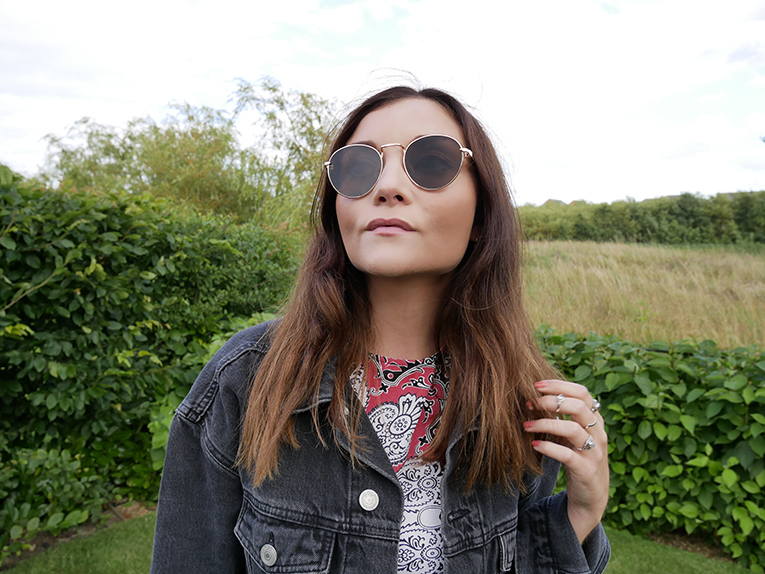 Bearing this in mind (the fact that you will probs want to wear your floral pieces throughout winter too) I have picked items that will work for both seasons, i.e. dark florals, versatile styles and so on. I'm pretty sure the below items can be worn whether it is hot or cold, winter or summer. Personally, when it comes to styling floral prints and embroidery, I like to grunge them up a bit as you can see in this post and this post. 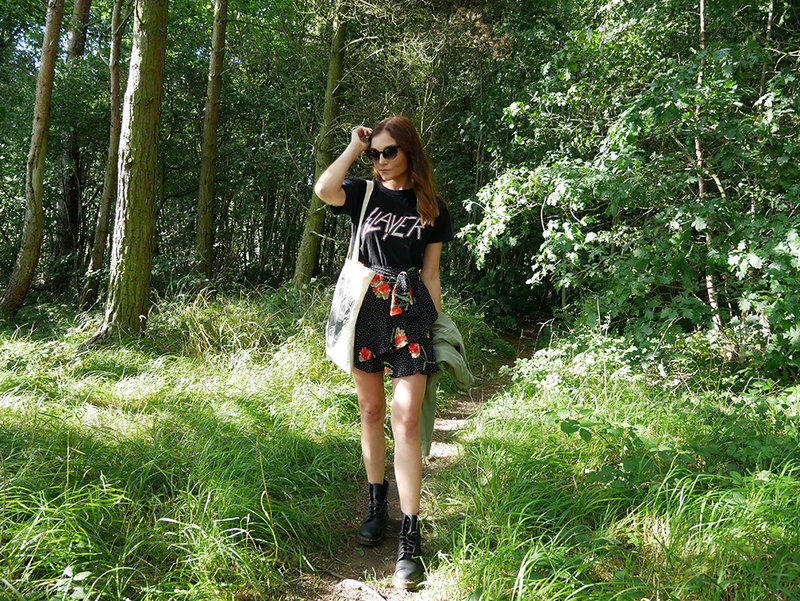 My style is not that girly so I love wearing a floral skirt with a band tee and docs or a floral dress with biker boots and a leather jacket. Another point that I feel I should ramble on about, is the fact that I am going through a strange yellow obsession at the moment, and anything yellow and also floral I cannot seem to resist. This perhaps is the least seasonally versatile form of floral but where there's a will there's a way – I think the floral tops I have picked below would look great with jeans and a fur coat in winter.